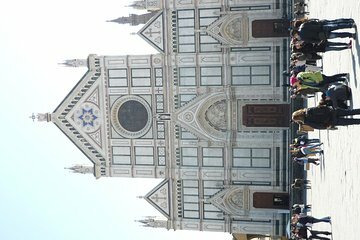 Step inside the largest Franciscan church in the world for a private tour of Florence’s Santa Croce Basilica. Learn why it’s also called the ‘Temple of the Italian Glories’ as you visit the tombs of Michelangelo, Rossini, Galileo, and other luminaries. The sacred space is rich in symbolism and artistic detail, which your personal guide will explain to help you get the most out of this architectural treasure.